Can you look at my profile/hire me? Qatar Airways provides a great careers site at careers.qatarairways.com so that you can search out and apply for roles that are appropriate to your background. How long should the hiring process take? There are no set time frames for the hiring process within Qatar Airways, but the recruiting team do work to make every process as quick as possible. Are there any vacancies in _______? Please review our careers site for available opportunities. I was interviewed and haven’t heard back yet? The processing time post-interview can take a while, often longer than the hiring manager or recruiter thought during the interview. Qatar Airways wants to expedite every hiring process, and will get back to you as soon as there is a decision on the next steps. My status is Invited for Interview, but I have not heard anything from Qatar Airways? This status indicates that the Qatar Airways team would like to interview you, but are currently working on the logistics of the interview, and you should hear back from us soon. When are you coming to________ for hiring? 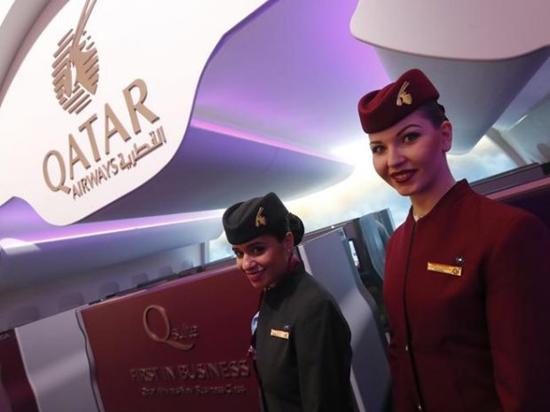 Qatar Airways regularly hires around the world. The best way to be considered is to apply for a specific role on our careers site at careers.qatarairways.com and the team will review your application. When we are coming to a specific location for an interview event the details will be shared in the events section of the careers site at careers.qatariarways.com. Can I apply for this role? Applying for a wide variety of roles will not look good to recruiters or hiring managers. Bear in mind that we usually don’t provide visa support outside of the GCC markets, and local candidates are always preferred. Qatar Airways receives a lot of interest for some roles, and even qualified candidates might not be selected for further interview if there are even more suitable candidates applying. We are not able to discuss individual cases, nor are we able to provide applicants with a specific reason why they were not successful. Why isn’t my visa ready? While Qatar Airways is responsible for gathering all the documents to submit your visa application, the visa process itself is outside of our control. Our visa team regularly follow-up on every application, but can only provide answers once they have been given. My status hasn’t changed. While the recruitment team try to expedite every process, there are often delays that are beyond our control. As soon as there is an update in your status you will be notified, in the interim we do appreciate your patience. What does_______ status mean? We have been asked regularly what the different status words mean, and a few of our regulars have been very helpful in putting together a guide, but we thought we'd put an official explanation out for all of you--We hope this helps! NEW: An application will be moved to ‘New’ status automatically upon the applicant successfully completing their application. The system sends an automated acknowledgement email for this status. UNDER REVIEW: Once applicants are listed by the Recruitment Team, they can move the application to ‘Under Review’ status and then forward the Under Review application(s) to the Line Manager for their review and feedback. ON HOLD: This status is used when a vacancy is put on hold, thus letting the applicant know that their application is on hold. There is no set time frame for this. INVITED TO INTERVIEW: This status will be used to invite applicants for an interview. The Recruitment Team can schedule Interview Events and invite applicants via email through the recruitment system. Through this process applicants can login into the Career Portal to view and book their interview online. INTERVIEWED: Once an applicant has been interviewed, the Recruitment Team move the applicant to this status and send them a ‘Thank You’ email for attending the interview. UNDER OFFER: The Recruitment Team use this status when making an offer to an applicant. WITHDRAWN: An applicant can withdraw their application for a particular vacancy through the Career Portal – Applicant Centre. The system will send them an automated email informing them that they have withdrawn their application for a particular vacancy. HIRED: An application can be moved to ‘Hired’ status once an applicant has accepted the offer. REJECTED: All applications that have been unsuccessful during listing or interviewing will be moved to ‘Rejected’ status and a Regret e-mail will be sent by the system. SCREENED: Candidates deemed “Unqualified” for a role are moved to Screened status. Advanced Candidate for Another Role: Your application has been transferred to another role as an “Advanced Candidate.” This generally is very positive, and it may even be the same role, but another requisition number.